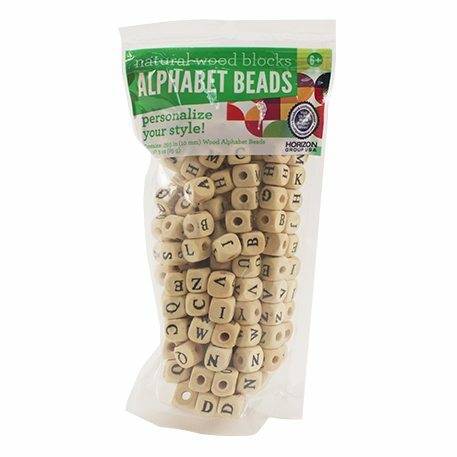 Create an organic accent to child and adult jewelry or accessory projects with wooden alphabet beads. Write names, poems and more. Wooden alphabet Beads are the perfect addition to bracelets, necklaces, barrettes and many other craft projects. Great for school craft activities and home arts and crafts too!